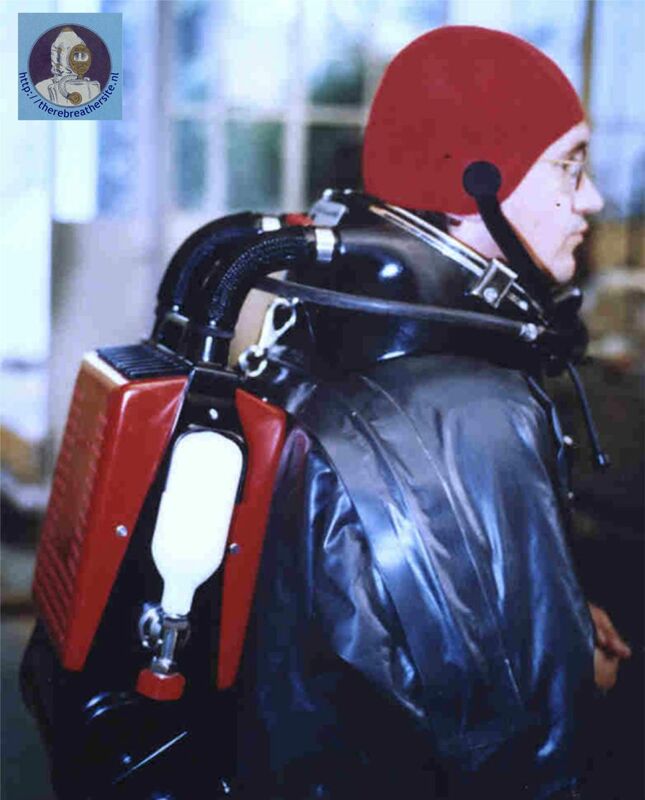 Thanks to Yves Le Masson, I can publish information about the LAMA rebreathers. In my website three articles are published earlier about this French company. 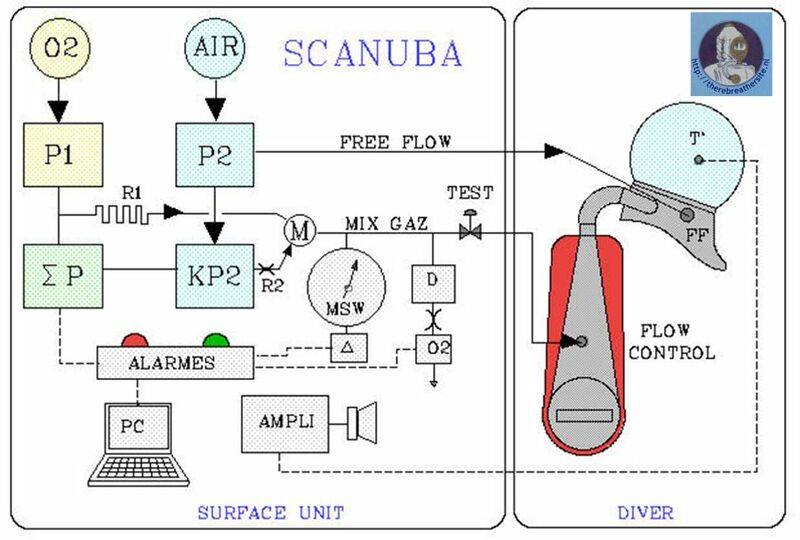 Here you find information about another very special unit called LAMA "SCANUBA"
Here you see that pure oxygen is used up to a depth of 6 meters. 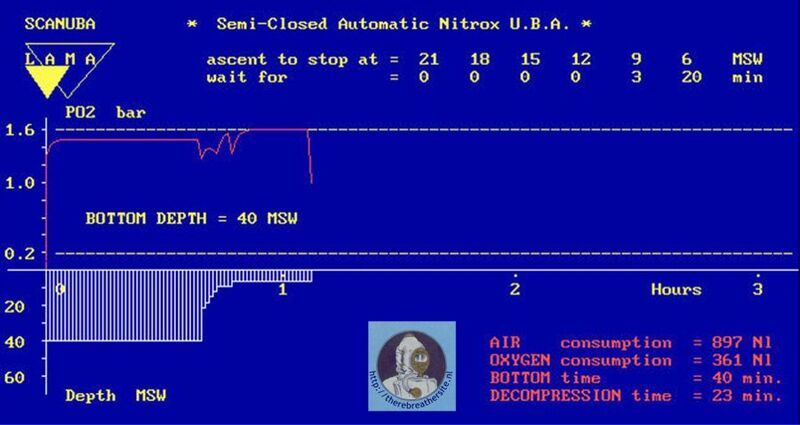 Then the air injection starts. 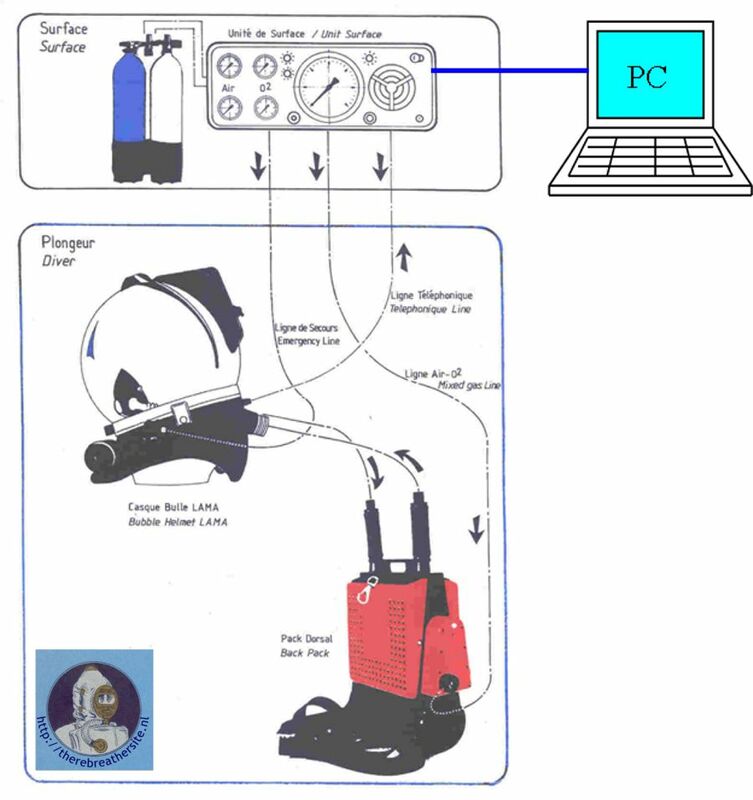 Since the air contains oxygen too the supply of pure oxygen is decreased until a depth of approx. 80 meters. 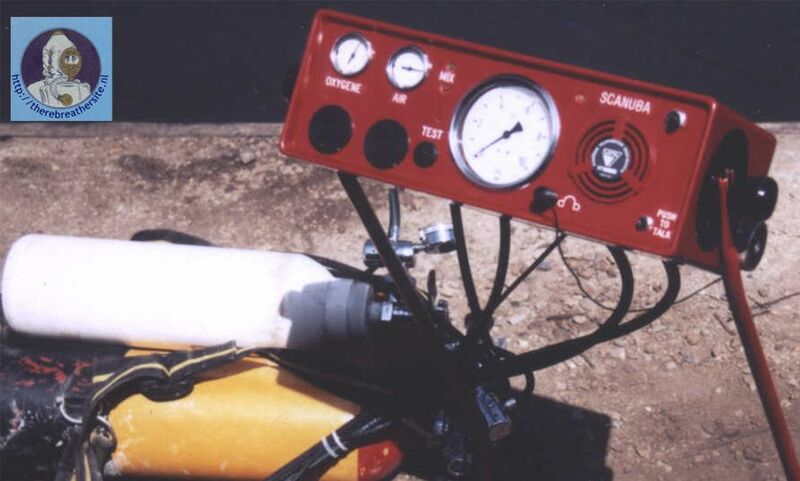 When diving even deeper only air is injected and extreme pO2's could cause problems. 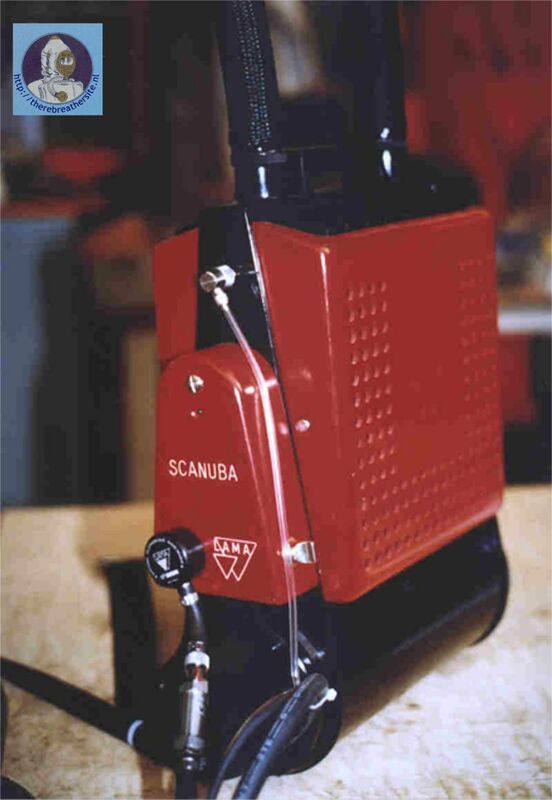 The unit is designed to have a almost constant pO2 in the range 6 - 80 meters. 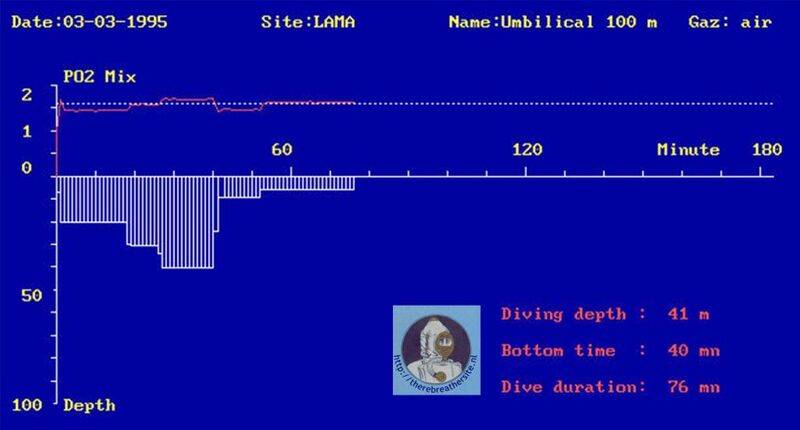 Here we see the very high pO2 levels during work of the diver. Following today's standards this mix would not be acceptable. Small emergency bottle on the unit containing pure oxygen. I would like to thank Yves le Masson for sending me this information!